The diverse field of evolutionary genetics is unified by two goals: to understand the impact that evolutionary processes have on genetic variation, and to understand the consequences of these patterns for various evolutionary process. Research in evolutionary genetics stretches across a continuum of scale, from studies of DNA sequence evolution (Ch. 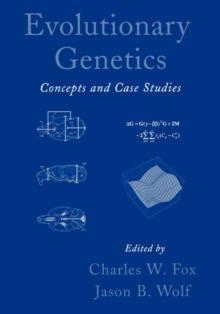 7 and 9), to studies of multivariate phenotypic evolution (Ch. 20), across a continuum of time, from ancient eventsthat lead to current species diversity (Ch. 28), to rapid evolution seen over relatively short time scales in experimental evolution studies (Ch. 31).